Do you prefer your Italian motoring al fresco? Would you buy a Fiat 500 Abarth, if only it came in a convertible version? In that case, get ready for some good news: Fiat is debuting the open-air 500c Abarth at this week’s Los Angeles Auto Show. Like the existing 500c Convertible, the 500c Abarth uses a retractable cloth top to provide access to the sky. Yes, you still have the solid roof rails (for rollover protection), so perhaps its best to think of the Fiat models as having really, really big sunroofs. The advantage, however, is that the top can be retracted back to the spoiler at speeds up to 60 mph, and can be fully opened at speeds up to 50 mph. Under the skin, everything we liked about the hardtop Fiat 500 makes a return appearance. That list includes the sonorous exhaust, which will be even more pleasing to the ear with the top down. On the other hand, your cranky neighbor who complains that your car is too loud won’t like it one bit. 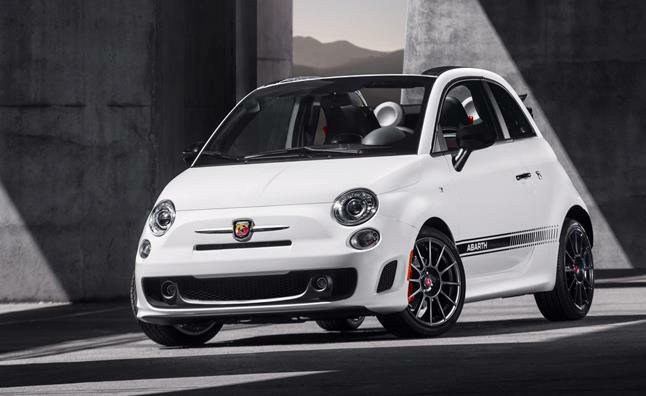 The 500cAbarth comes with the same 1.4-liter MultiAir Turbo as the regular Abarth, and it’s still good for 160 horsepower, which works out to be an impressive 117 horsepower per liter. The only available gearbox is a five-speed manual, which all but ensures that only enthusiast drivers will be parking a 500c Abarth in their garage. Expect the run from 0-60 mph to take around seven seconds, but trust us on this – it feels faster. Since Fiat is the parent to Ferrari, it seemed fitting to have Ferrari’s best-known drivers introduce the 500c to the U.S. market. In case you don’t follow Formula One, the drivers in the video are Scuderia Ferrari stars Fernando Alonso and Felipe Massa. Just like in real life, Alonso is ahead of Massa at the end of the video, too. Expect the 500c Abarth to hit Fiat dealers in the first quarter of 2013. Pricing hasn’t been set, but we’d expect a similar mark-up as the standard 500c carries, which should put the price at $25,500.